Are you looking to get rid of some junk from your Ladner Home or Business? Brad’s Junk Removal can help! Our same day service and outstanding rates make it ideal for anyone looking to clean out their garage, backyard, attic, or even just get rid of some of that pesky clutter. As Ladner’s number one junk removal service we offer cheap junk removal with rates that haven’t changed since we first started in 1988! We are also environmentally friendly! We utilize the many recycling facilities in and around town to recycle almost 90% of each one of our loads. This means that less of your garbage ends up in a dump. Why not choose Brad’s Junk Removal – Friendly Service, Great Rates, Same Day Removal, and 90% of your load is recycled. If you are looking to just go at your own pace we have you covered for that as well. With our Ladner bin rental service we will bring you a bin, you fill it at your leisure, and we will haul it away. No fuss no mess. You save on the cost of labour all while getting rid of all that extra clutter you don’t need anymore. Its a win-win. Brad’s Junk is able to offer some of the cheapest bin rentals in all of the lower mainland. With rates starting at just $199 + Dump Fees you are guaranteed to love it. Do you have some unwanted furniture? We can handle that as well. Just let us know when and where to pick it up and we will stop by with one of our trucks, load it up, and take it away. Quick, Easy, and best of all cheap! We also work our hardest to try and recycle furniture. There is lots of wood, metal, and other recyclable materials inside furniture; and just because the furniture is no good anymore doesn’t mean these materials are bad. When we recycle you save on dump fees. Another plus. Recycling is an integral part in making sure our planet stays healthy for generations to come. No such industry is this more important that in ours, junk removal. Did you also know that approximately 90% of household junk contains at least one if not more of these materials? 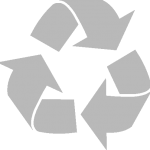 At Brad’s junk we make sure that as much recyclable material as possible is sent to transfer stations instead of the dump. This also means you save on your dump fees. Less material going to the dump = smaller dump fees. Need to get rid of some junk? Brad is your guy! Give us a call at 604-220-JUNK (5865) or email info@bradsjunkremoval.com to ask your questions or book an appointment for our junk removal services in Ladner. Note: Minimum charges apply and vary depending on location. Recycling, clean up and junk removal in Vancouver, Richmond, Delta, Ladner, Tsawwassen, Burnaby, New Westminster, North & West Vancouver, Coquitlam, Surrey, Cloverdale, Langley, White Rock, Horseshoe Bay, and Lions Bay. Copyright © 2019 Brad's Junk Removal Designed & Developed by: NetClimber Web Design Inc.